Inviting exploration while bringing clarity to a busy plaza. 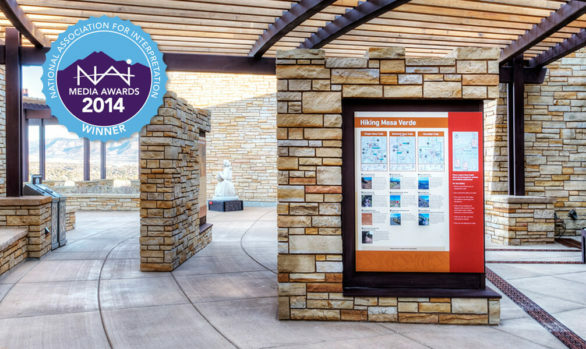 EDX participated in a four-year multi-disciplinary process involving planners, designers, and artists in the redevelopment of Canyon View visitor center and plaza as a primary arrival point for South Rim visitors. 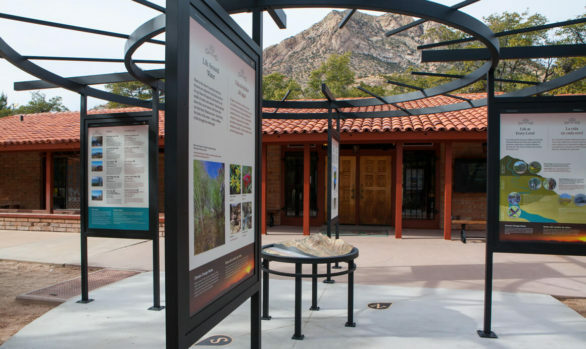 EDX participated in planning and design efforts that re-envisioned the plaza and walkway to Mather Point, developed unified building and directional signage, and integrated interpretive elements throughout the visitor experience. 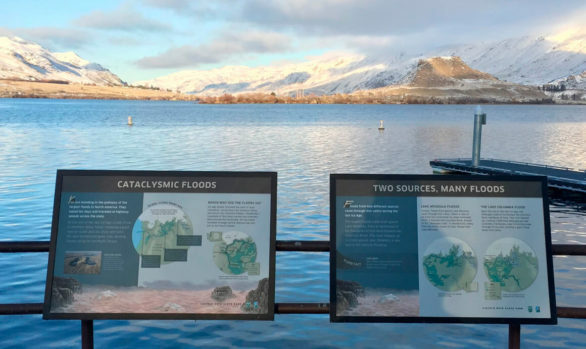 EDX worked with The Selinda Group to evaluate the effectiveness of our designs in communicating the choices, challenges, and highlights of this premier national park. 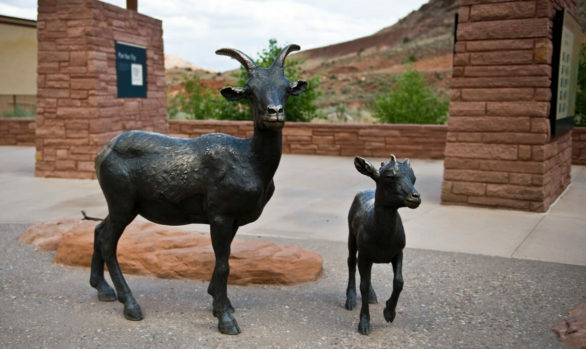 Self-orientation panels outside the visitor center welcome visitors, help them choose an appropriate canyon hike, provide detailed trail overviews, describe cultural history sites, and emphasize safety. 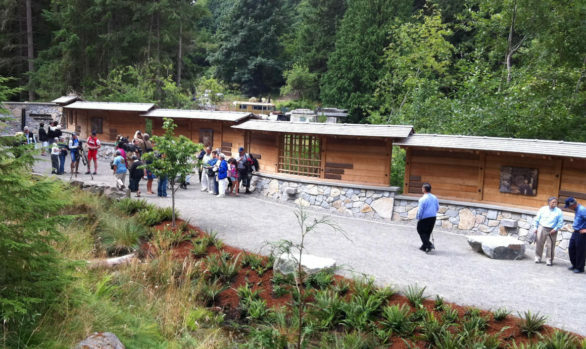 From initial concept to interpretive content development, research, graphic design, and exhibit design, EDX partners with organizations, businesses, museums, science centers, cultural centers, and national parks to create award-winning, participatory exhibit experiences that engage the intellect, stimulate the senses, spark dialogue, build relationships, and inspire action.